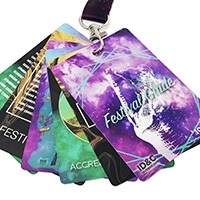 Our custom laminate passes are used widely across the event industries for security access control, easily helps to identify artists, VIPs and crew members and ensures safety in restricted areas of venues and festivals. 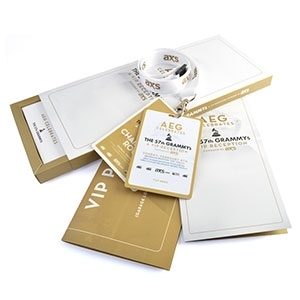 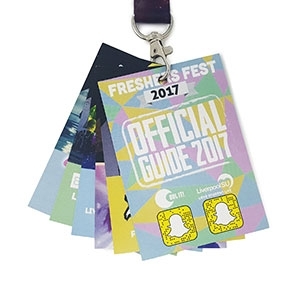 Our custom laminate passes are made from high quality materials and are available in a range of thicknesses, offering a laminate pass for any event and any budget. 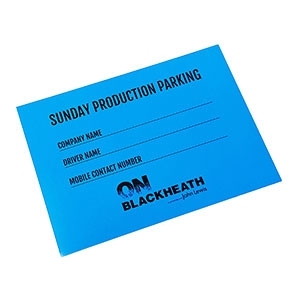 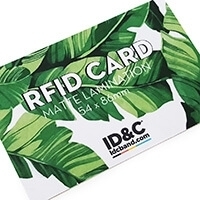 Our passes are fully customizable with full-colour double sided print, can be finished in a matte or gloss effect and come with a range of additional security features such as foiling, sequential numbering, barcodes and RFID embedding. 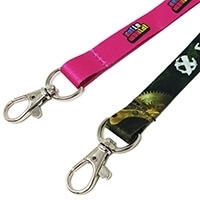 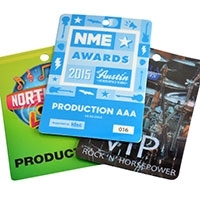 Laminate event passes provide visual ID for staff, crew, artists, VIP and backstage guests. 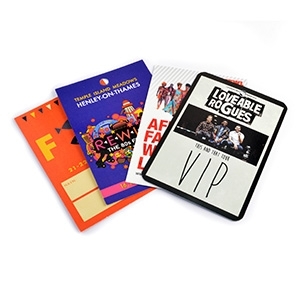 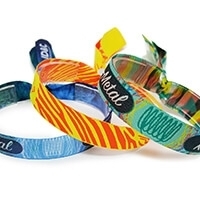 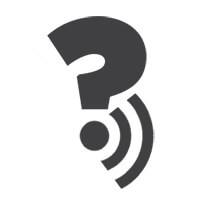 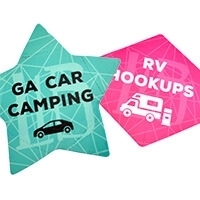 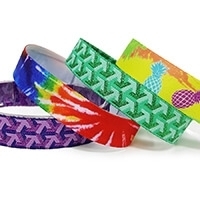 They also offer an opportunity to generate new revenue by selling to ticket holders as a promotional item or keep-sake. 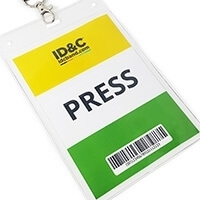 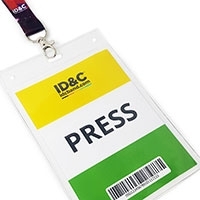 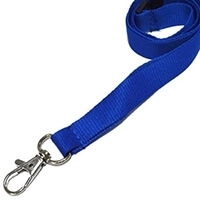 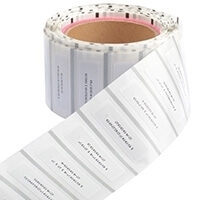 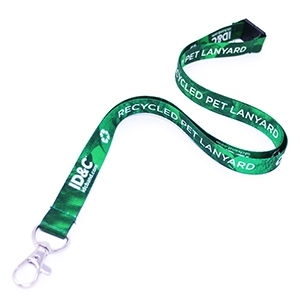 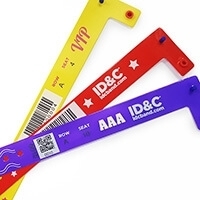 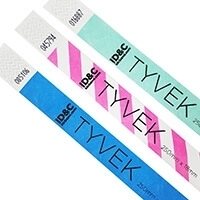 ID&C only offers laminates suitable to withstand the event environment. 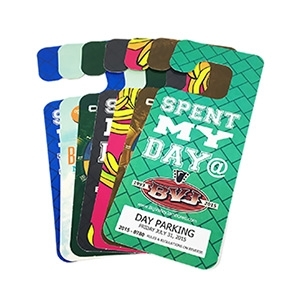 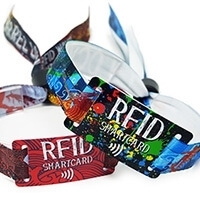 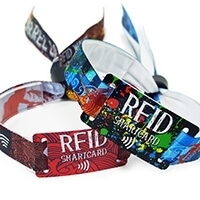 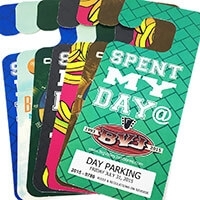 Our event passes can be fully water proof for a multi-day outdoor festival or we can provide economic, yet durable solutions for smaller, 1 day events. 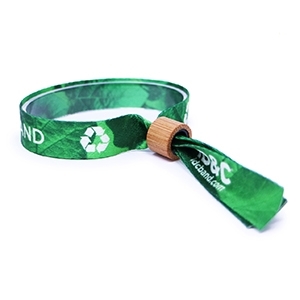 As well as our classic laminate passes, we also offer paper event passes which can be recycled, made from 300gsm silk finish card, can be printed in full-colour and are ideal for eco-conscious event organisers who are looking to reduce the level of plastic used at their events. 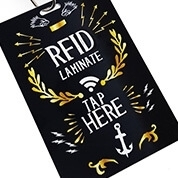 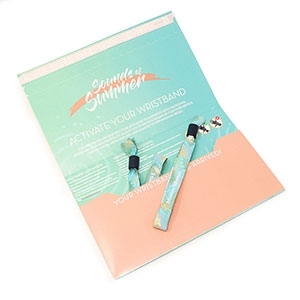 We also offer laminates with tear-off tabs, which can be used as vouchers for food and drinks, the tabs are fully customisable and double-sided.